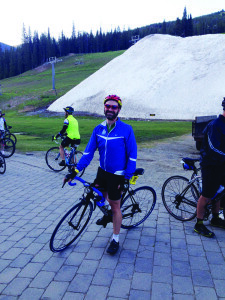 Since 2005, the Colorado and Denver Bar Associations have sponsored the Wheels of Justice (WoJ) team, which uses cycling as a means of raising funds to fight pediatric cancer. This year I was privileged enough to participate. 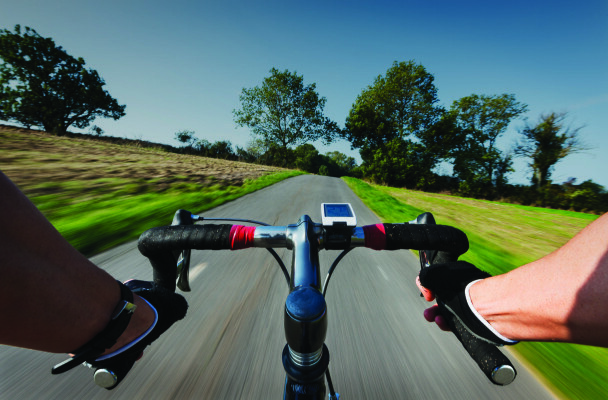 The three-day Courage Classic is held each July, and there are approximately 2,500 riders who participate. In 2015, the Wheels of Justice team had more than 200 riders and raised $345,000 — that’s $2.6 million over its 10-year history. In total, the Courage Classic raised almost $2.5 million. The first day involves a challenging 77-mile loop that mimics the famous “Copper Triangle” route. After a hot breakfast with more egg and bacon sandwiches for fuel than coffee, we started riding from Copper to Leadville. The route was well-marked; anyway, it’s hard to miss a turn when you’re riding with so many other people. The weather was surprisingly chilly, and the first few miles were slow as folks worked the kinks out and found their rhythm heading up the highway. Aid stations were a welcome sight at the top of the first major climb, and we were able to refuel quickly before hitting the road again. 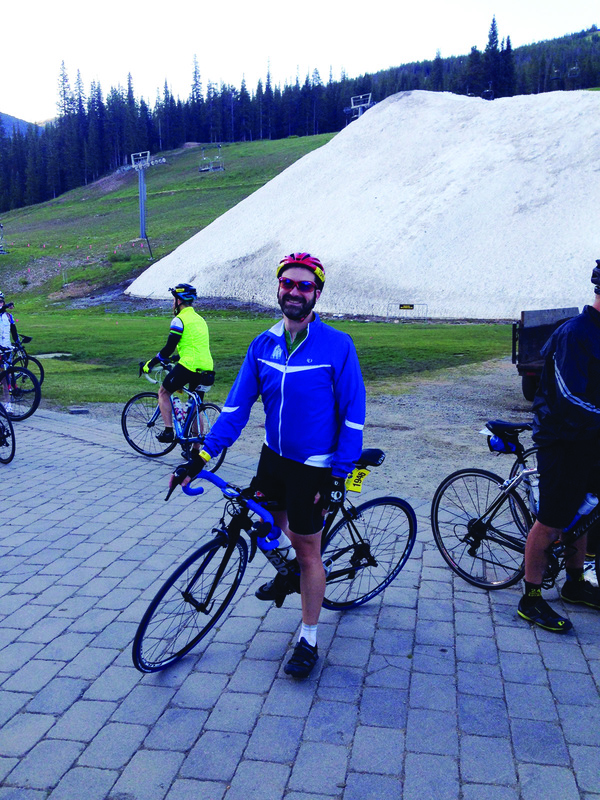 The ultimate challenge of Day One was Vail pass — a legendary Colorado climb and an accomplishment for any cyclist! I was excited to be able to summit the pass and grab a quick snack before coasting down the east face and heading back into our home base at Copper Mountain. Day One in the books. The 2015 Wheels of Justice team. Day Two started early and with an unusually crisp temperature (barely above 45 degrees). I was unprepared for the cold on my fingers and jealous of the other riders who had thought to bring winter attire and full-fingered gloves to ease their journey along a path that wound down from Copper and around Lake Dillon. Rain was in the forecast, and I was riding hard in order to beat the storm to the top of Hoosier Pass (about 45 miles on a 72-mile day). It was cool and overcast until I reached the summit, and, as if on cue, the rain started pelting down just as I turned around and headed back toward the finish line. I grabbed a lid from a cardboard box and stuffed it under my jersey for added warmth and wind blockage. (Back in the day, celebrated European bike racers would stuff newspapers under their jerseys as they raced down the mountains; now I know why they went to such extremes.) By the time I reached the bottom of the pass, the rain was coming down even harder, and the remaining miles passed as I battled to keep riding. Many riders in the Courage Classic ride for a loved one who has benefited from Children’s Hospital. I rode with so many people who say that the challenge of riding such long distances is nothing compared to what these brave kids fight every day. As I charged through the rain, I understood what they meant: The suffering that I experienced in order to raise funds was insignificant in comparison. That was the warming thought that kept me moving forward. Day Two completed. Day Three (Monday) was a shorter ride and therefore had a later start. There were fewer riders because many of the participants had only committed to the weekend events. 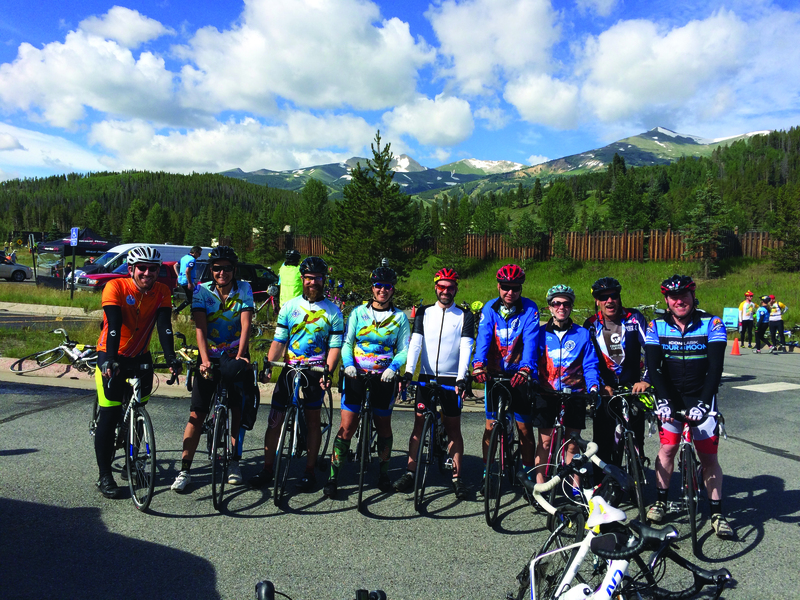 The smaller groups and the sunnier weather made the morning’s 33-mile ride from Copper to Breckenridge and back all the more pleasant. The connections that I made over the weekend, the funds that I raised and the noble cause that I supported made it clear that this was more than a great cycling event: It was a fantastic opportunity to give back and to provide the kids and families who rely on Children’s Hospital and its dedicated staff with the support that keeps them “cycling” through trying times. Jeremy Schupbach is a first-time WoJ rider and the Director of Legislative Relations at the Colorado Bar Association. He can be reached at jschupbach@cobar.org. If you are interested in joining the team, contributing to the cause or finding out more, visit wheelsofjustice.org. Our team has raised more than $2.6 million for Children’s Hospital Colorado Center for Cancer and Blood Disorders in its ten-year history.